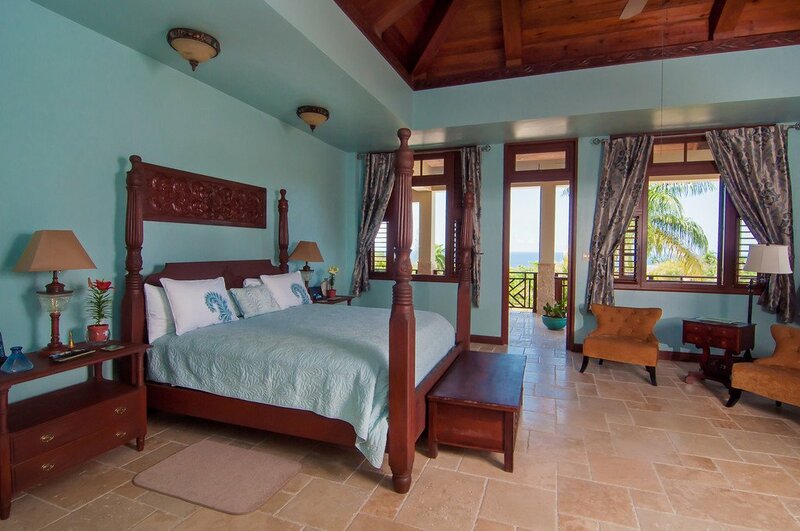 Jubilation Villa is the latest reason to enjoy your Jamaican vacation at The Tryall Club. 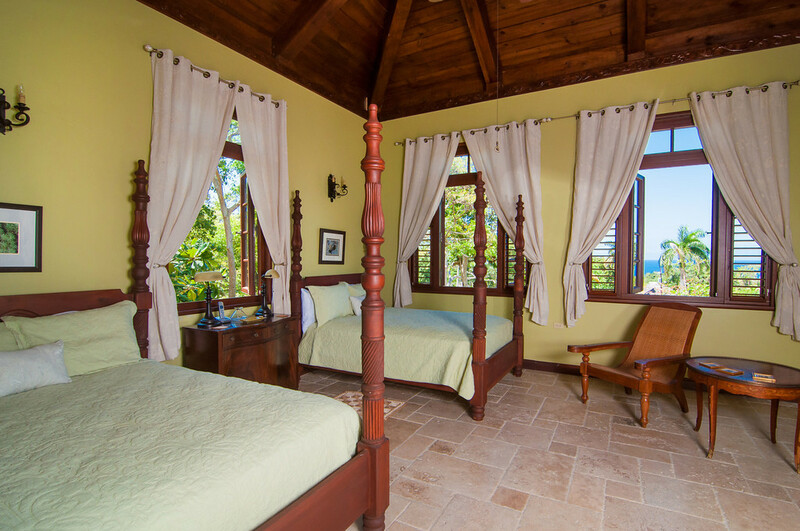 This newly created tropical paradise is elegantly furnished throughout with carefully selected antique treasures, locally built mahogany four poster beds and uniquely crafted local wood carvings. 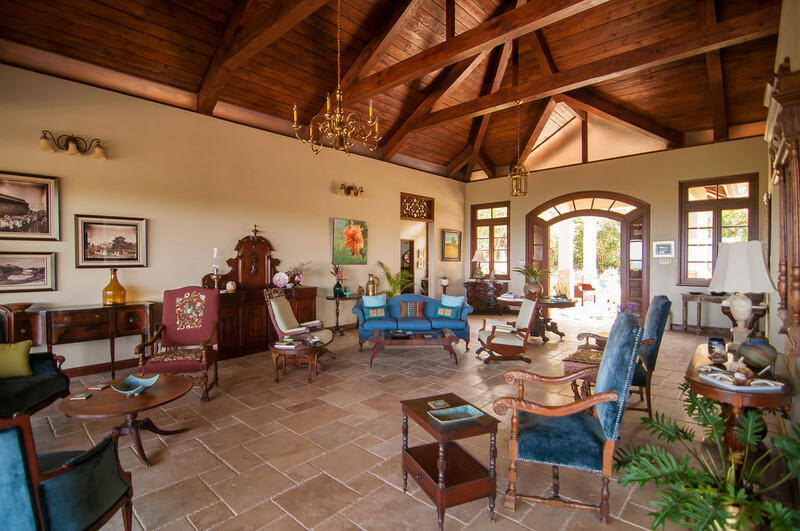 With its soaring ceilings and cool travertine floors there is a warm and welcoming old world feel that will make it your home away from home. 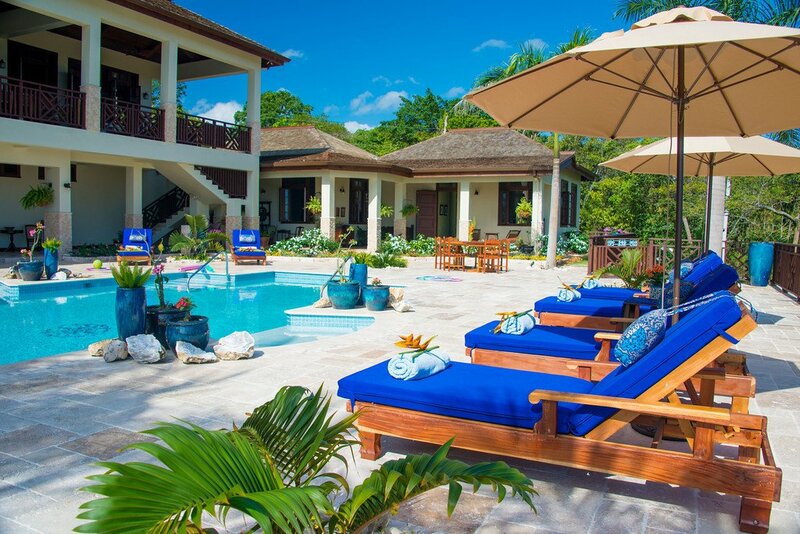 A comfortable getaway where friends and family of all ages can gather, relax and entertain, where outdoor living is maximized by a 45”x20” heated swimming pool surrounded by large verandas offering breathtaking views of the lush tropical gardens, Tryall Club and the Caribbean Sea beyond. 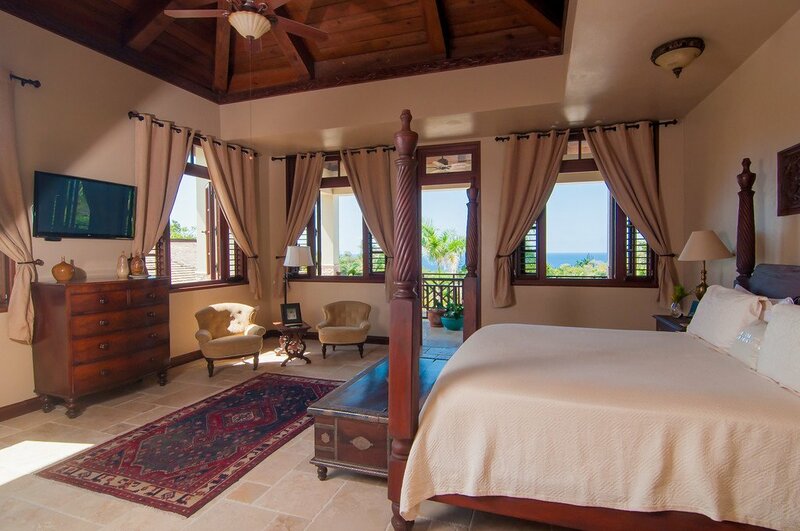 Awaiting you are two luxurious master bedrooms featuring king beds and four additional bedrooms with 2 queen beds each. 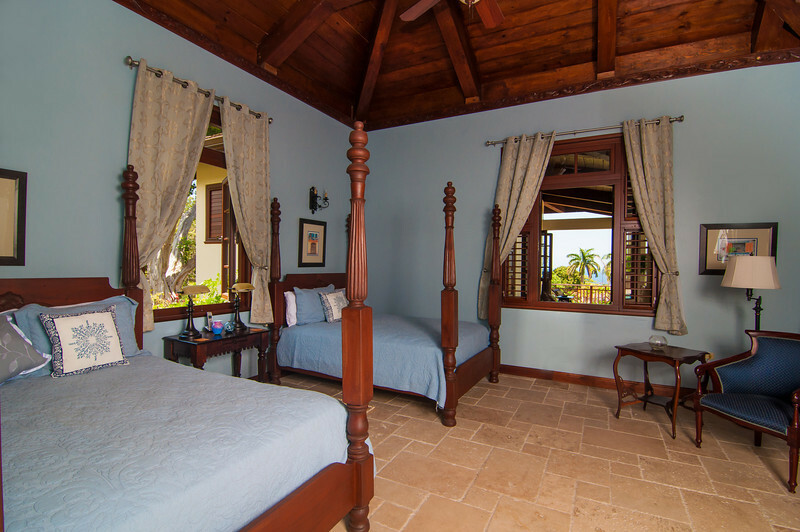 All six bedrooms are equipped with a 42 inch TV, air- conditioning, IPod docking station, walk-in closet and en-suite bathroom with tub, shower and double copper sinks for your convenience. 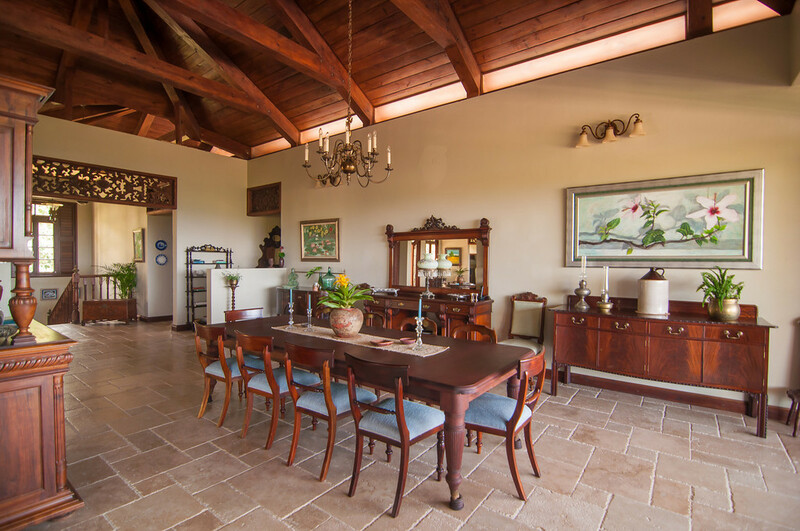 The spacious living/dining area welcomes you with interesting artwork, intimate and inviting seating and doors that fold away to allow in refreshing breezes from the adjoining upper veranda. 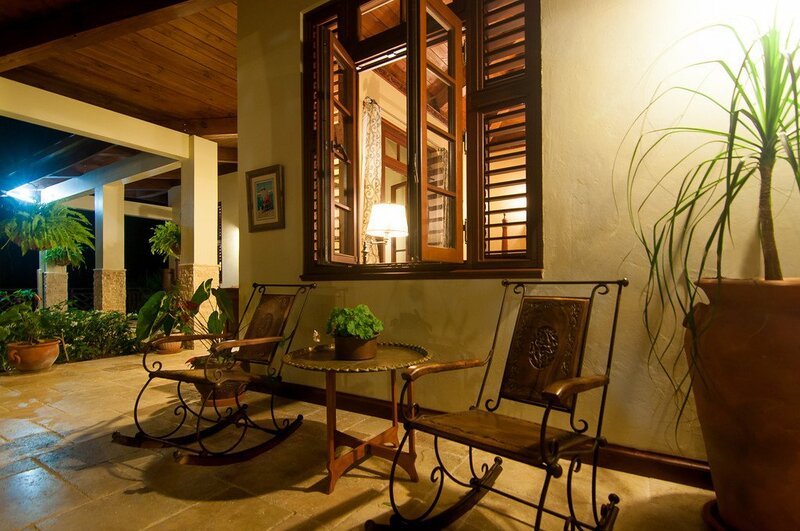 In addition to the formal indoor dining, the verandah provides for open air meals and boasts a cozy seating area for morning coffee or moonlit after dinner cocktails. Dinner around the pool on the lower level is an option worth exploring on the days when no one wants to be indoors at all! 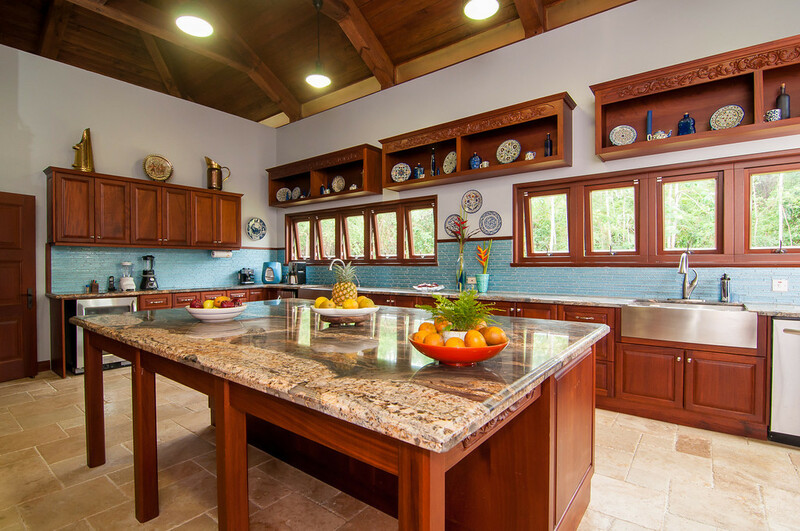 The spacious kitchen with its 9ft granite island, local custom made mahogany cabinets and modern stainless steel appliances, stands ready for the chef to prepare mouthwatering meals for Jubilation’s guests, all served table side by our cheerful butler. 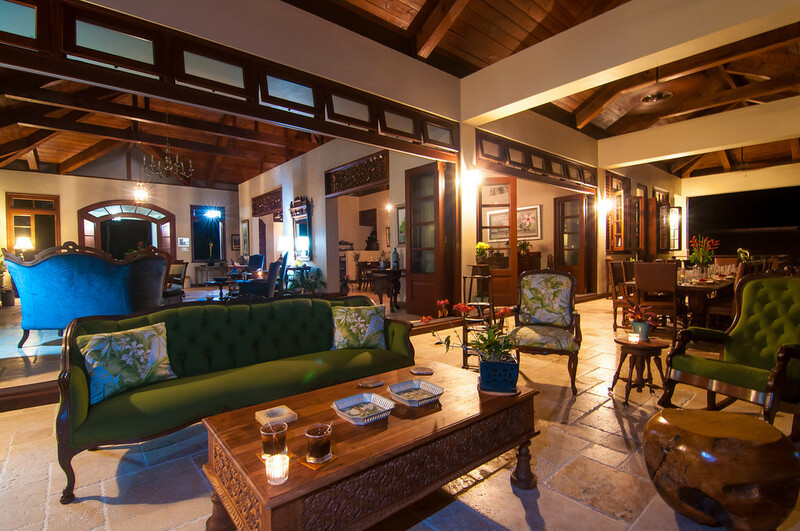 The lower level features a large entertainment room with a 60” TV, games, music, books, an adjoining bathroom and folding doors opening onto the lower veranda, bar and pool area. 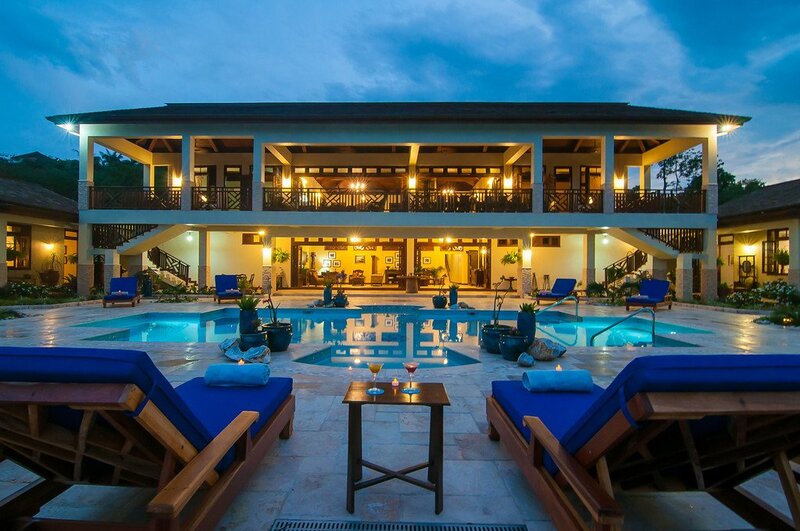 Our inviting bar is accessible from both the veranda and pool deck, accommodating all your entertainment options with an open and relaxed feel. 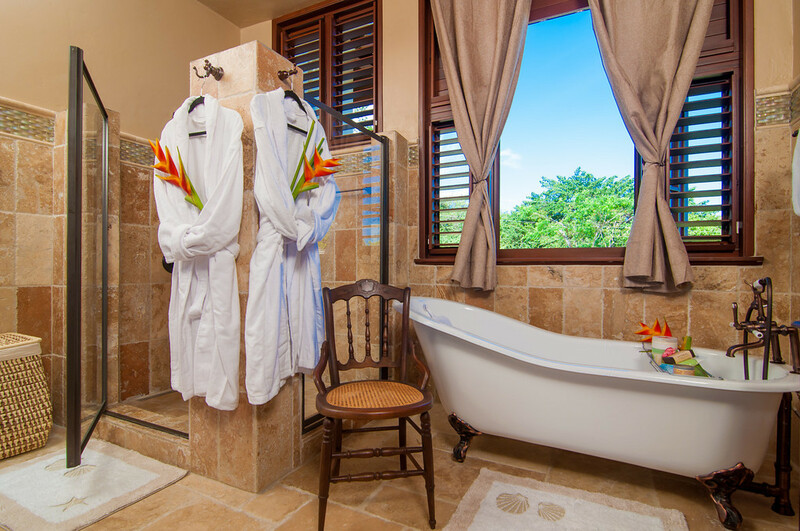 When you need to explore, Jubilation provides you with two golf carts, ready to transport you to all that Tryall has to offer… the private beach, world class golfing, tennis, restaurants, kids club and of course shops and Great House facilities. Refundable security deposit of $1200.00 is required prior to arrival. 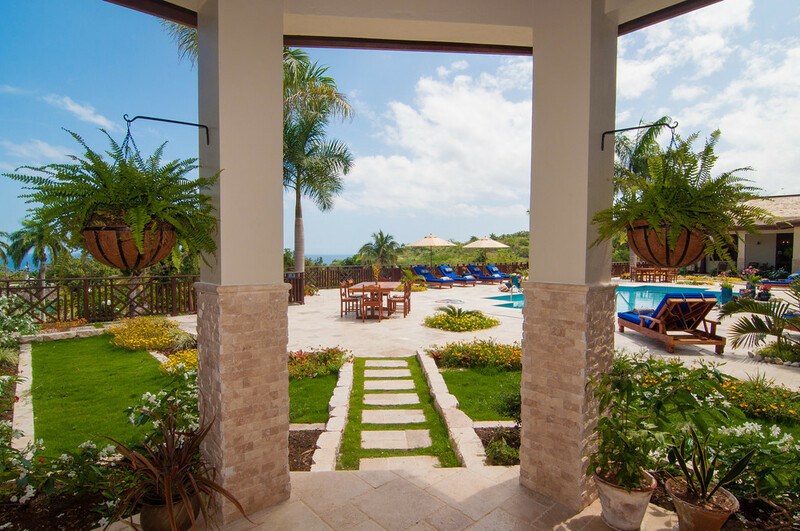 Tryall Membership offers first Rate facilities on its 2200 acre Resort. 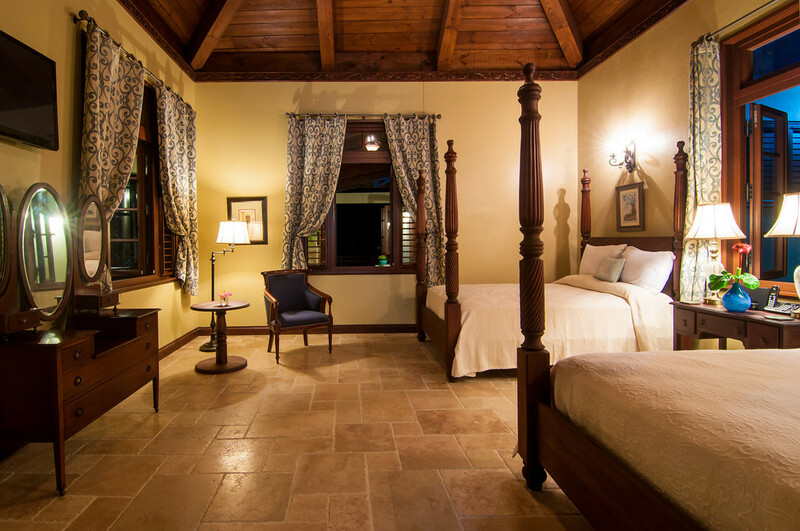 Conde Nast places Tryall Club on its Gold List as one of the best places to stay in the world. • Tryall's Golf Course measuring 6,221-yards, par 72 is considered to be one of the finest in the Caribbean and is the pride of Jamaica. It attracts the game's leading players and prestigious international events including the Johnnie Walker World Championships, Mazda Champions, Jamaica Classic and Shell's Wonderful World of Golf. This world class golf course boasts hillside and seaside fairways. 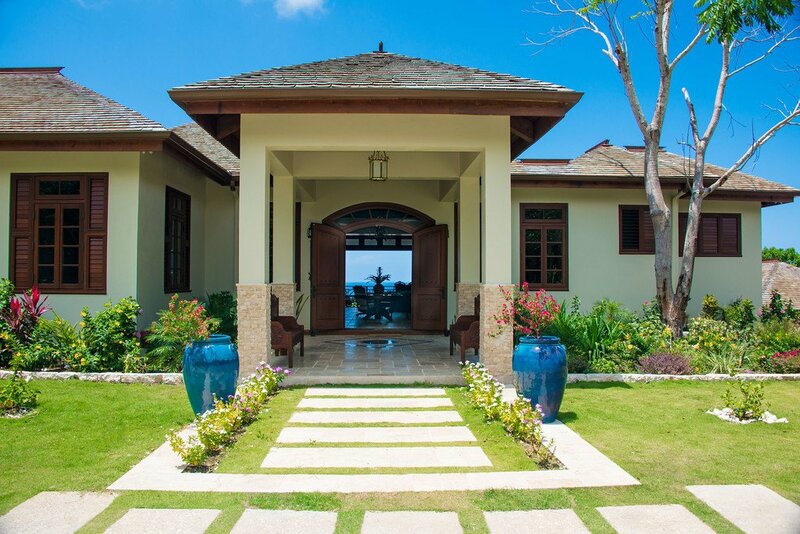 In-house greens fees offered to the villa's guests. 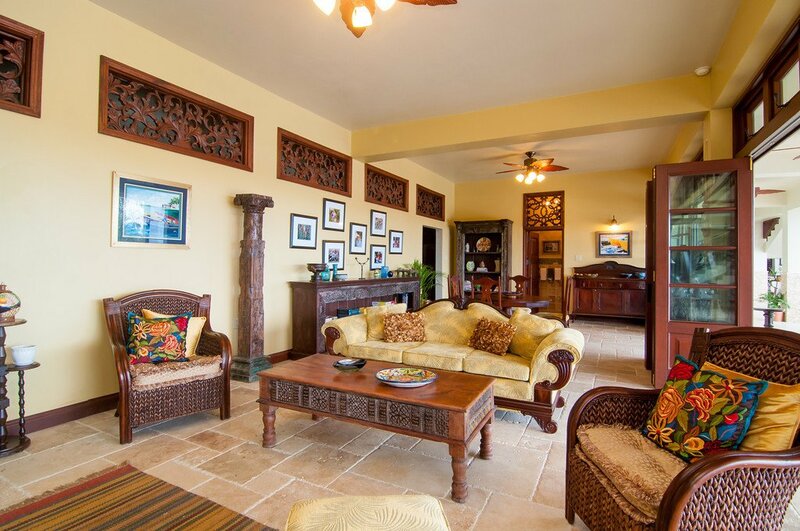 • Complimentary shuttles transport guests from the villa's front door to all locations within the resort. • Large swimming pool at Great House. • White sandy private beach. • Waiter Service on beach, serving drinks/food from beach bar. 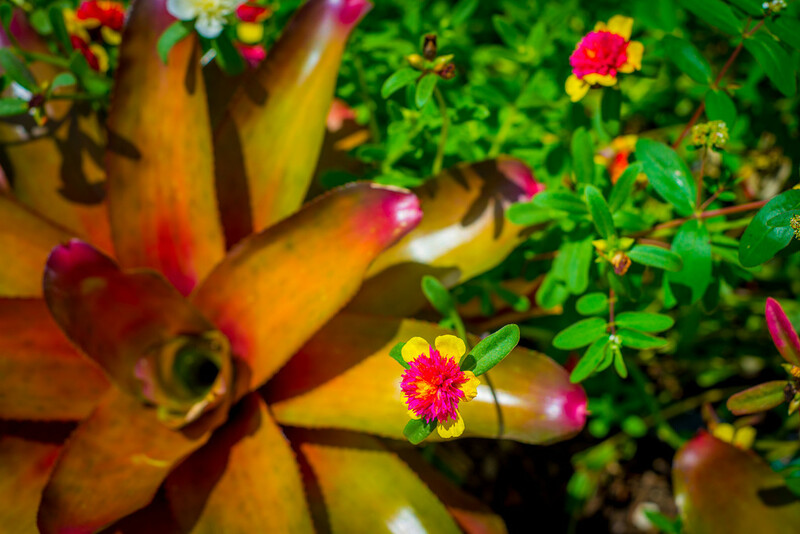 • Beauty salon, massages, reflexology treatments. • Hobie Cat Sailing and Sunfish sailing are complimentary. • Sea Kayaks which accommodate up to three people are also available at the beach. • Snorkels, masks and flippers are provided. 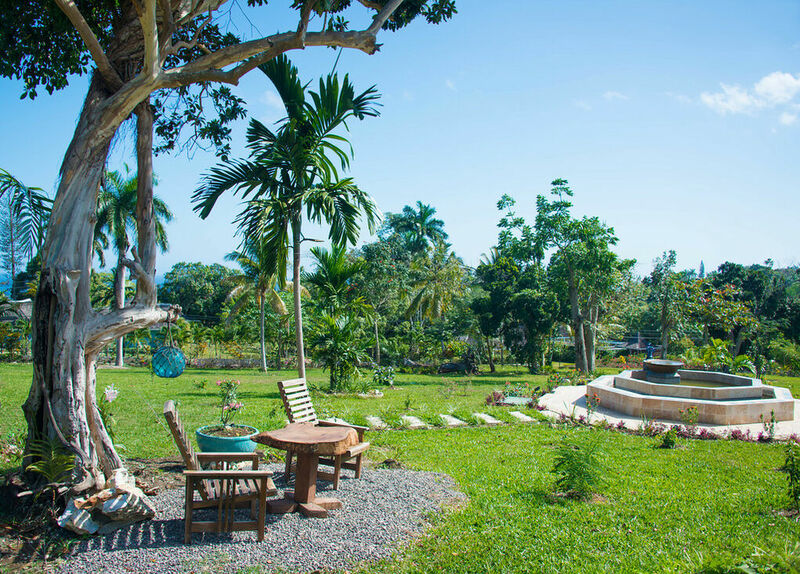 Take a leisurely swim to the coral reef just 100 yards off this private beach. 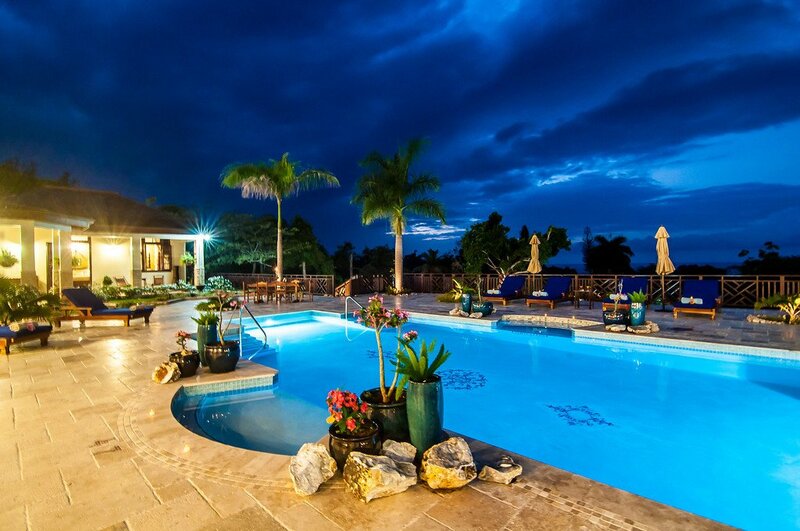 • Tryall's watersport center can arrange for all your diving needs as well as opportunities for water-skiing and tubing. Fees may apply. • Gym for workout at Fitness Centre. 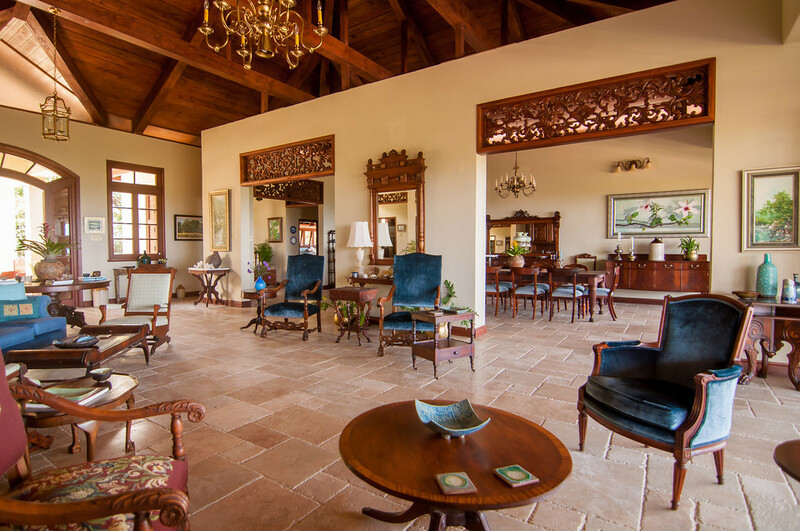 • Historic Great House with bar, boutiques, art gallery, fax facilities. • Enjoy Afternoon Teas at the Great House. 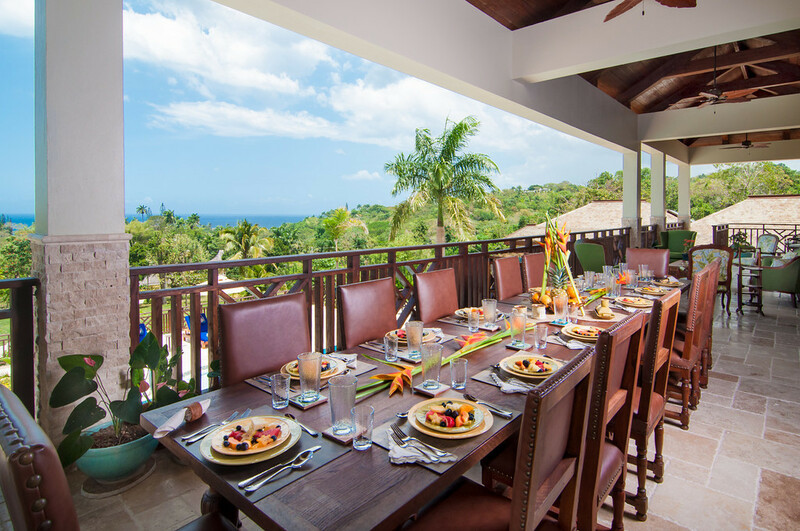 • Great House Restaurant for continental and Jamaican dining if you wish to dine away from the villa, with its outdoor terrace. • Play tennis on 7 Nova Cushion courts, which are lit for night play. • 2 Brand New Clay Courts with 2 additional new ones being constructed due to its popularity.